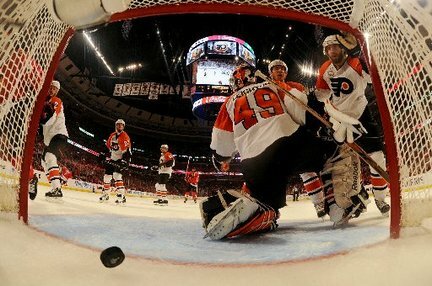 I love Staal's reactions to his goals. Was this the one where we beat them really really bad? 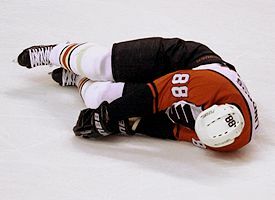 I always liked the one with the team picture with Lindros laying there out cold in front of it and the other with the two Flyer fan dudes hugging during a game with looks of panic on their faces. 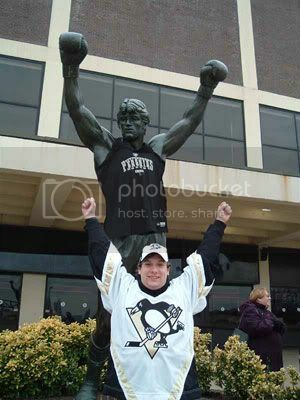 jimjom wrote: I always liked the one with the team picture with Lindros laying there out cold in front of it and the other with the two Flyer fan dudes hugging during a game with looks of panic on their faces. 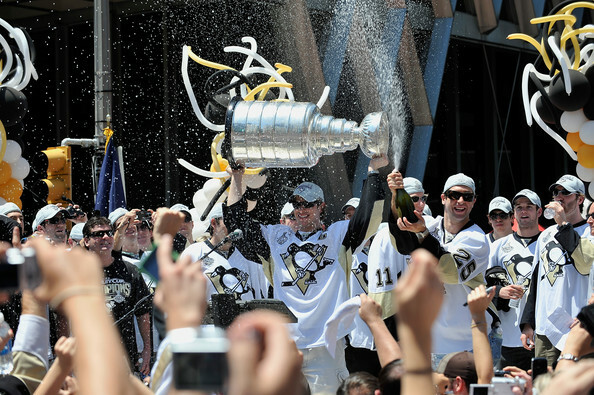 Headline on the front page of the PG tomorrow: "LIGHTS OUT II", with a picture of Kunitz standing over Mike Richards... book it. And how did we forget Fisty McUgly? not sure i understand... "whiny *smurfette* in the middle"? I figured this was for playoffs only. SolidSnake wrote: I figured this was for playoffs only. Flyers hate is year round. originally posted this in the JTOR thread, but I can't delete it since it's been responded to. There really is no better one than this. The expressions on the fans' faces is PRICELESS. 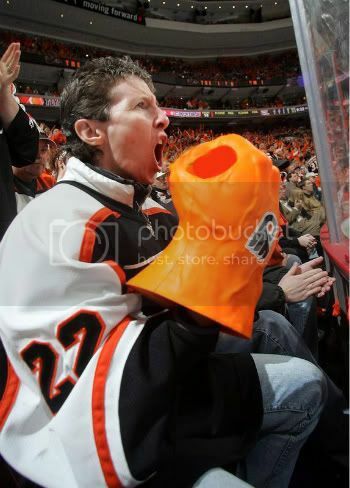 The kid who's a Flyers fan looks like dog watching a card trick. 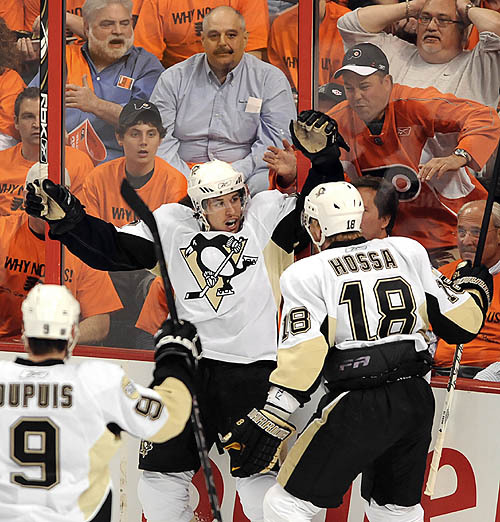 I know that Philly fans are known for vomiting in the stands but.... is that guy above Hossa's head pinching a loaf? At first i thought this was in bad taste... this person went low to post this. I guess it would explain the reaction of the guy behind him.